The Alpha SE™ is the newest addition to the JA Woollam line of ellipsometers. This new ellipsometer is designed to make SE measurements as fast and simple as possible. 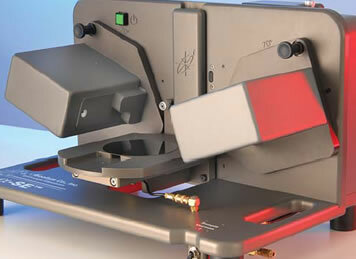 The Alpha-SE™ will measure both thickness and index with the use of the Alpha-SE software. With the compact, fully integrated design and USB connection make the ultimate table top tool. Easy-to-use... push button operation with advanced software that takes care of the work for you. Powerful... proven SE technology gives you both thickness and index without the uncertainty of single- l ellipsometry or spectrophotometry. Low Cost... the power of SE at a much lower cost than a high-level research tool. Fast - 100s of wavelengths simultaneously collected in seconds - immediate results.